Why Shall You Have This Book? If you want to be a Professional Engineer (with PE license) you need to pass the Professional Engineering( PE ) exam. As we know that the syllabus for the PE exam is vast and to cover it will be very difficult for the Civil Engineer. 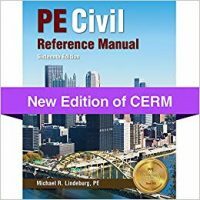 The Michael R. Lindeburg PE is a very experienced writer since 1975. His books have an impact on millions of engineers globally. 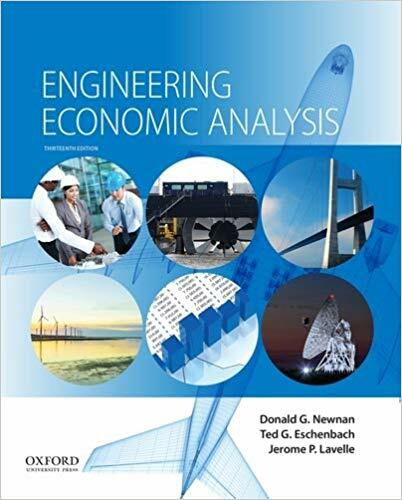 He has written more than 35 engineering reference and exam preparation books. As it is known, studying is one thing and to appear for an exam is the other thing. Though all of us know everything in the exam, without proper practice or without proper knowledge of the paper, the examinee will not able to clear the exam. It is necessary for the examinee that they could have a good command over the subject areas. The key way to crack the Professional Engineering(PE) Exam is to practice a lot. Merely practicing everything that comes in front you is not the solution unless you practice what is really be like the real exam like. 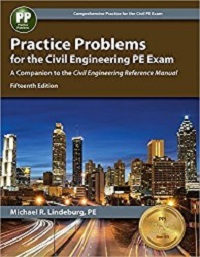 Practice Problems for the for the Civil Engineering PE Exam is the ultimate book where you can find the best ever problems that are specifically produced to prepare yourself for the PE Exam. Moreover, the solutions are up to date and follow the NCEES recommended solution techniques. It contains over 900 practice problems. It makes you familiarize with the paper format and the help the examinee to boost the confidence of themselves. It will improve the problem-solving skill for the examinee. Each practice papers contains questions which are according to the PE exam and can be solved in 6 min. 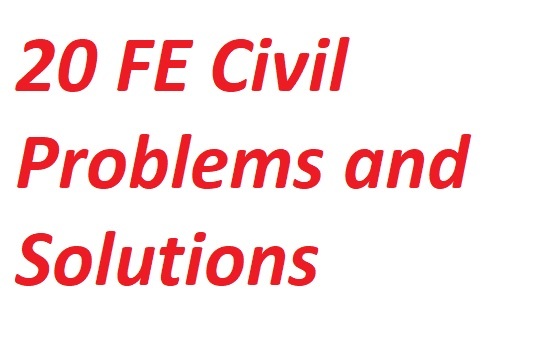 Solutions are clearly written and complete and all the solutions methodologies are permitted by the NCEES. The entire book is carried through both in SI and US Customary units. PreviousWho Can Take FE Exam Organized by NCEES?